I love that Babs had to do the opposite of her instincts to break the spell, and I'm a sucker for a good secret identity reveal - even if it's fake. 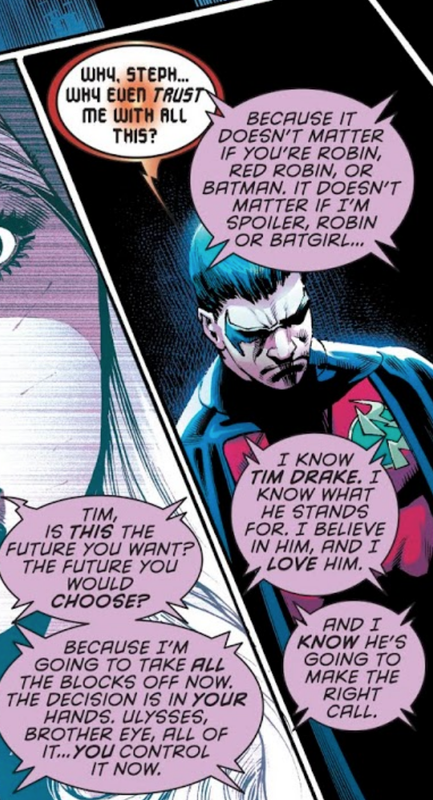 This is the love I want to see between Tim and Stephanie, this feels more like a partnership. This is Stephanie Brown!!! It's the perfect balance of disobedience and respect for Batman. 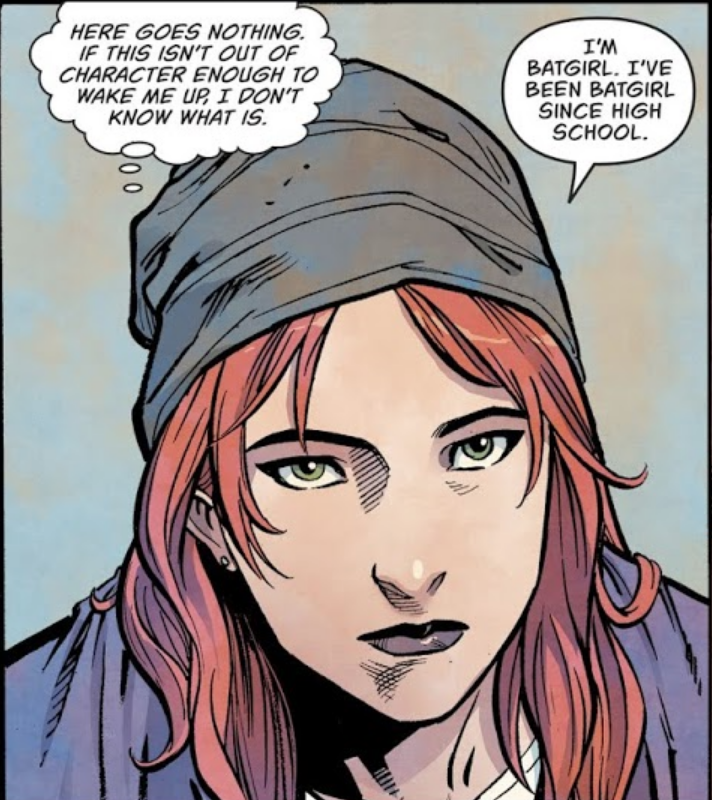 She knows what the bat means, and that's why it's always powerful when she defies it. A great cliffhanger to get this event rolling! 1. 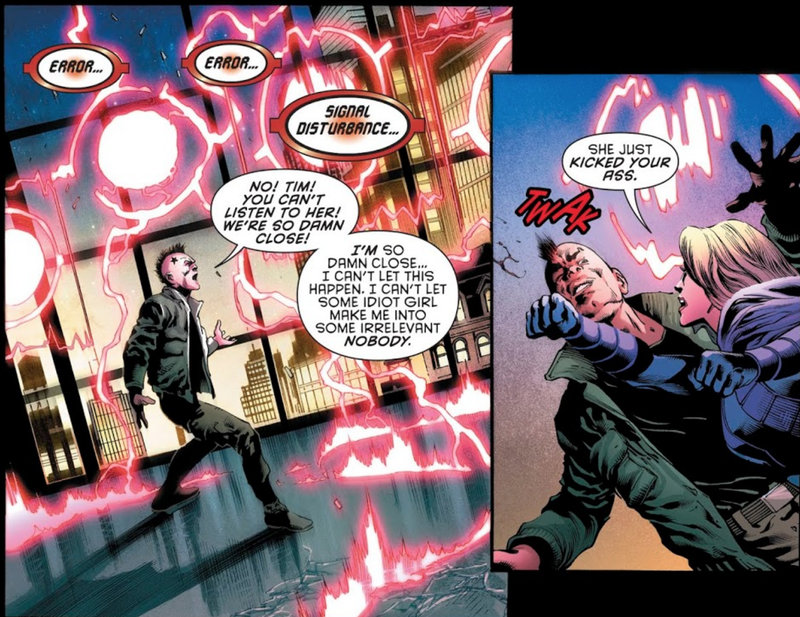 Detective Comics #981 - Don’t Underestimate Stephanie Brown! This is why I love Stephanie Brown! She is such an underdog. People always underestimate her, but even with the odds against her she will always get that last punch. 5. Invincible Iron Man #600 - Mazinger Z: Infinity Killed Sue Dibney? Can you tell that Bendis is going to DC Comics? Loved the Sue Dibney name drop here, Bendis seemed to make an effort to do them in his last issues. But I also love the Mazinger Z, more specific Mazinger Z: Infinity nod. 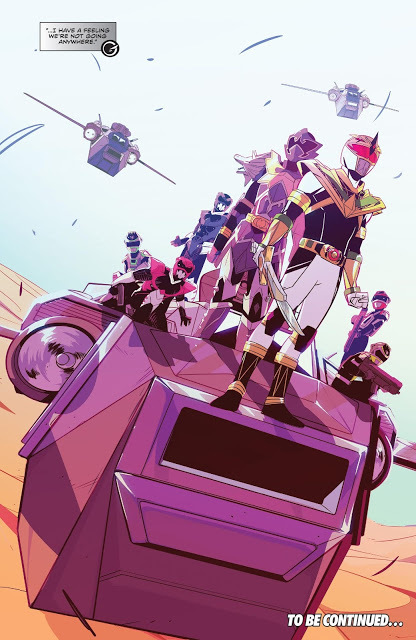 I loved Tranzor Z (the American name of the Mazinger Z adapted Anime) growing up and I mentioned it on Frontline LIVE and Media Madness more than once, so to see his name here was just awesome for me. 4. 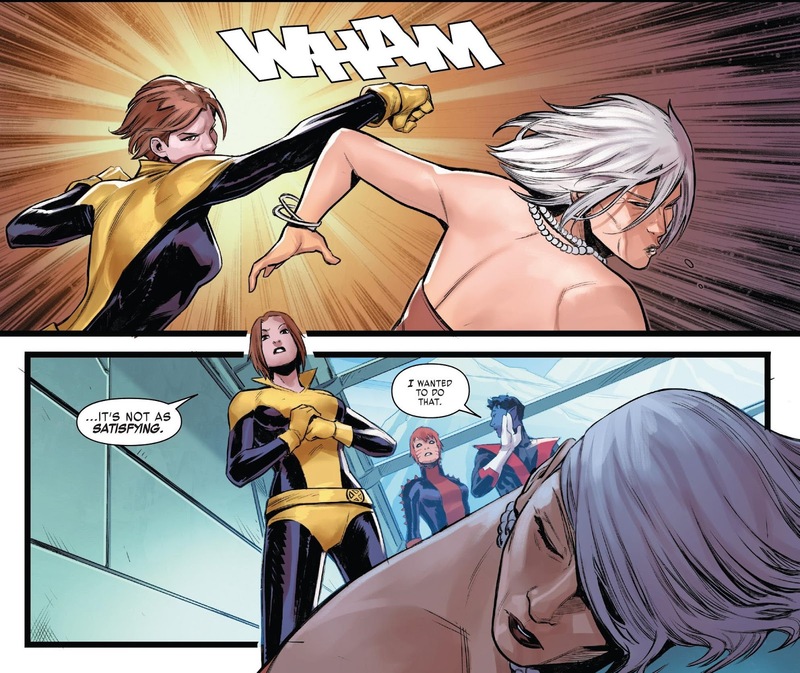 X-Men Gold #28 - The New One Punch! I love the one punch! It all started when Batman had enough of Guy Gardner and laid him out with just one punch and Blue Beetle (Ted Kord) cracked up. The one punch has been used a few times since then, and now it is Kitty's turn to use it! 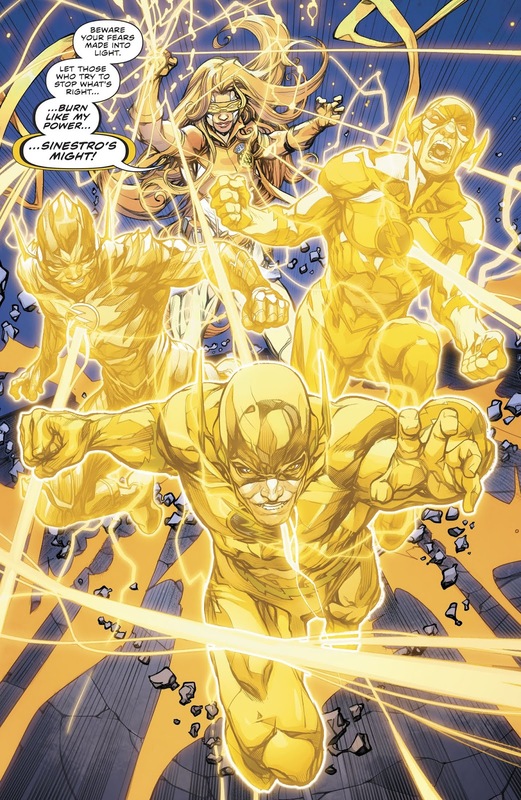 I also love that Kurt is the "Blue Beetle" here giving commentary. 3. Super Sons #16 - Bat Sons Is Ridiculous! This is why I love this pairing! They are this perfect childhood friendship, they have this enthusiasm and this fun that just makes you smile. This is what I love about the Super Sons and Damian and Jon's relationship. Plus the Bat Sons is ridiculous. 2. Detective Comics #981 - I Am A Bat! I LOVED this scene! Cass is owning her life here, she is taking what is here and proclaiming she is a Bat! Now come on DC give her back the suit and the name Black Bat! 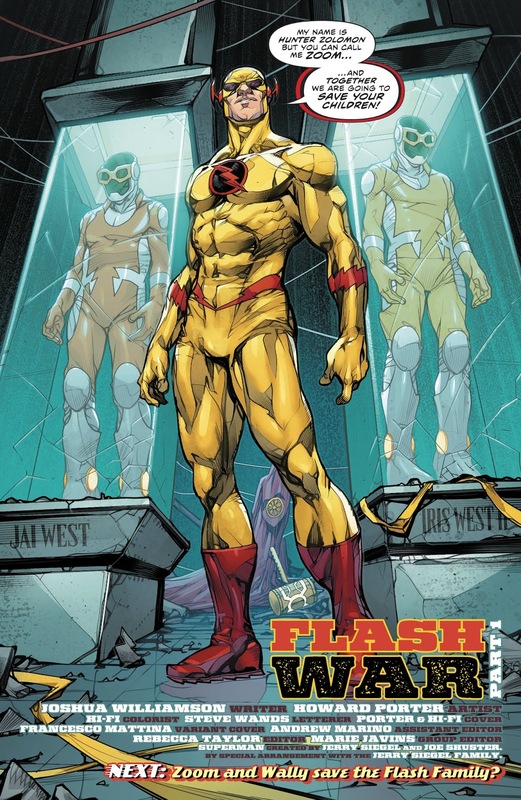 I know most people are going to focus on the last page with Jai and Iris' suits in the cases at the Flash Museum, but this is where it really hits. 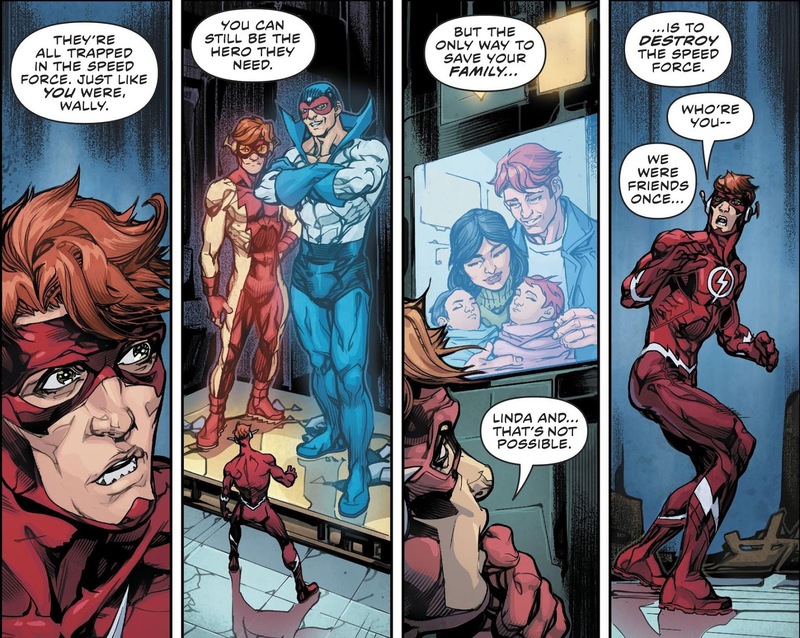 We have Wally seeing Bart and Max, then seeing his actual kids with him and his wife. This hits hard. He sees Jai and Iris, not empty suits but he sees the twins in Iris' arms they are real, and tangible. But I am not sure which I found more interesting, Jai & Iris or Bart & Max. Plus if they all do return what will Bart's name be? He can't be Kid Flash we have New Wally for that (Unless one of them goes to the future, and if that is the case I vote for New Wally to go to the future) and he won't be able to resume the name Impulse as that was Iris' name, unless she takes on the new name. 5. Invincible Iron Man #600 - Sorcerer Stark? 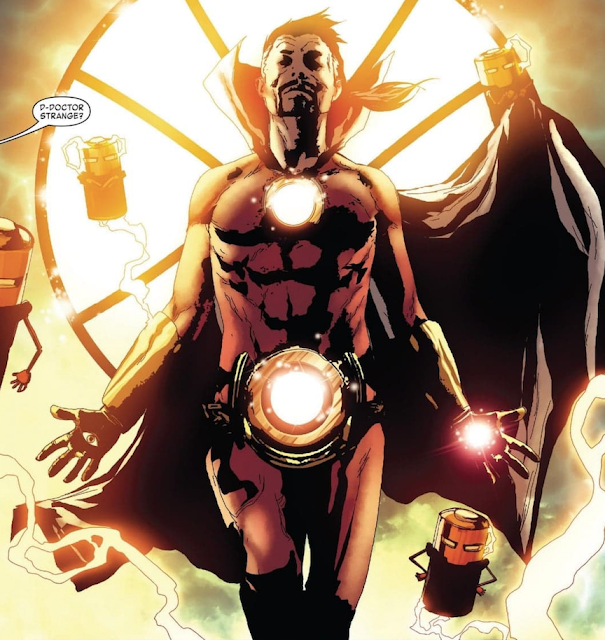 This was a pretty cool panel as Tony Stark in the future is a SORCERER supreme! But mainly because this Iron Man run is finally over! 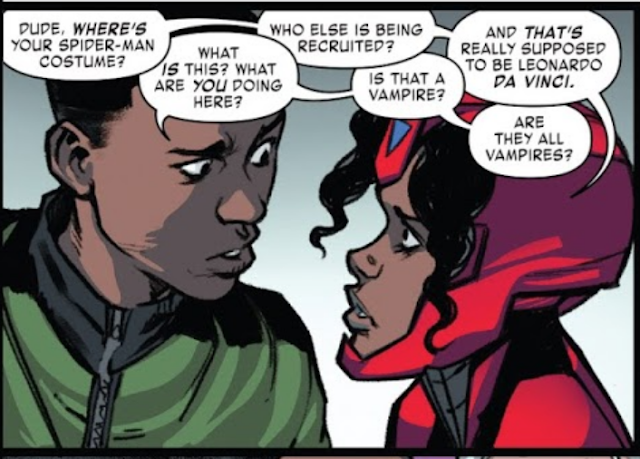 These two should maybe do a team up book as the interaction with each other was well done. Even though it was very small. Okay at this point your are saying to yourself, Mike, you must have loved Iron Man. My answer no, it just had some good moments in a very large book. Seeing Rhodey back was pretty awesome and this interaction between him and Tony was funny. Seeing the villain represent the Sinestro corps was awesome plus these constructs that represents their past enemies was great! 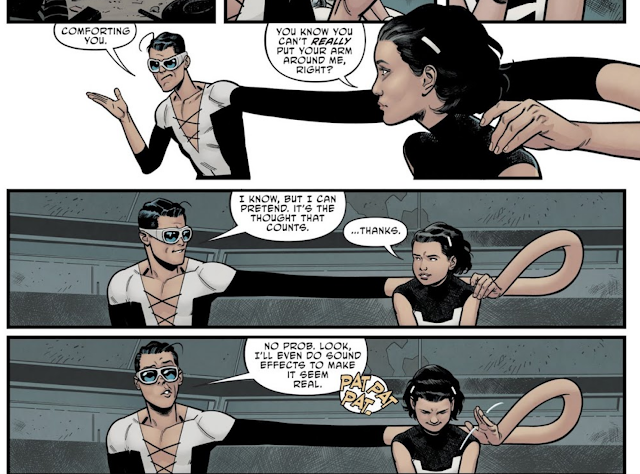 Seeing Plastic Man trying to comfort Phantom Girl was a great scene. He meant well. Detective Comics #981 - Don’t Underestimate Stephanie Brown! 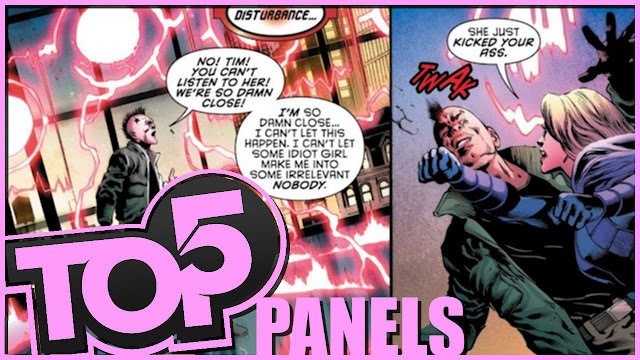 Invincible Iron Man #600 - Mazinger Z: Infinity Killed Sue Dibney? X-Men Gold #28 - The New One Punch! Super Sons #16 - Bat Sons Is Ridiculous! 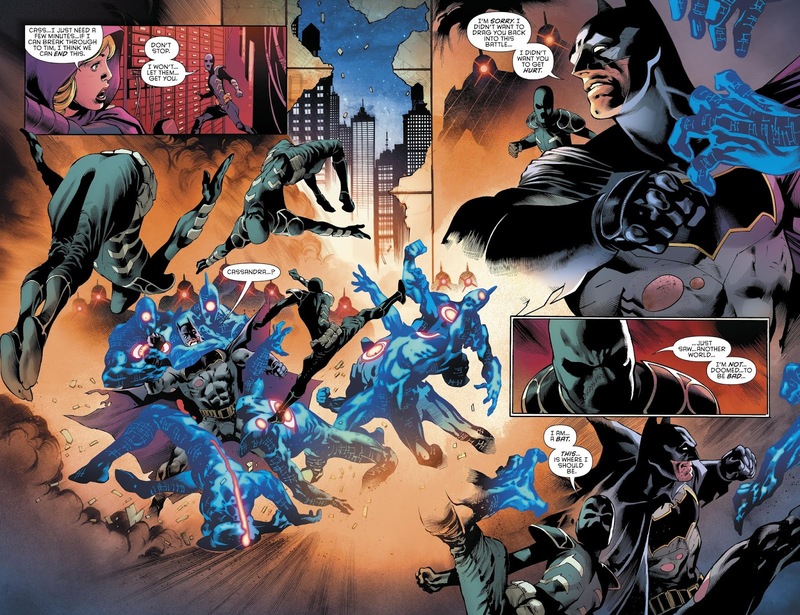 Detective Comics #981 - I Am A Bat! 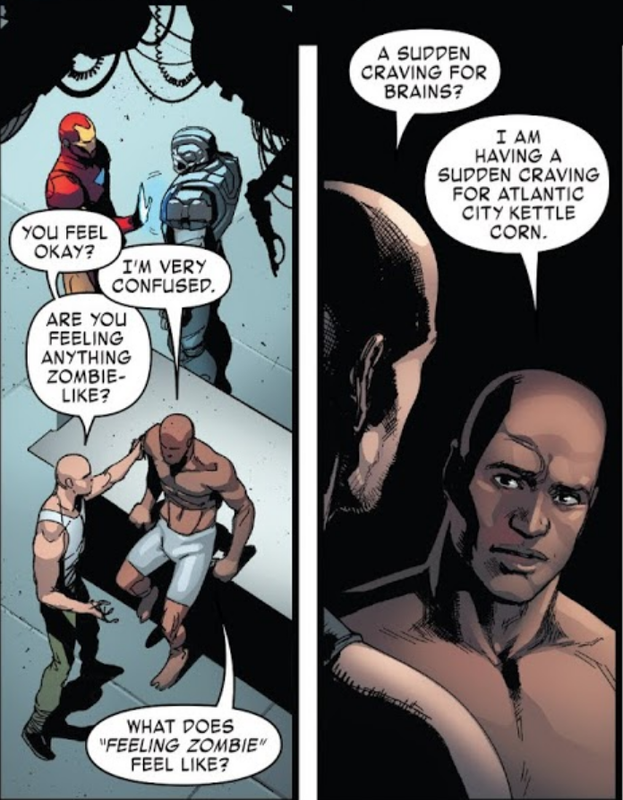 Invincible Iron Man #600 - Sorcerer Stark?